Unten finden Sie eine komplette Liste von allen Immobilien die momentan in La Jolla auf dem Markt sind. Wir sind Spezialisten im La Jolla Haeusermarkt und werden Sie gerne im Hauskauf unterstuetzen. In La Jolla finden Sie einige der schoensten und teuersten Immobilien in ganz San Diego und Kalifornien. "Highly desirable garden-style setting upstairs at Villa La Jolla. Brand new upgrades throughout this upstairs junior one bedroom. Upgrades include white cabinets w/ granite counter tops, dual-pane windows, custom paint, vinyl plank flooring, modern sliding doors and crown molding and more. Easy to access from the parking lot. Within minutes to La Jolla Shores beach, UCSD & shopping centers. Just across the street includes Ralphs, Trader Joe's, AMC Theater, DSW and more. Quick access to I-5 "
"Nice private location at Villa La Jolla! Brand new upgrades throughout this junior one bedroom. Upgrades include white cabinets w/ granite counter tops, dual-pane windows, custom paint, vinyl plank flooring, modern sliding doors and crown molding and more. Easy to access from the parking lot. Within minutes to La Jolla Shores beach, UCSD & shopping centers. Just across the street includes Ralphs,Trader Joe's, AMC Theater, DSW and more. Quick access to I-5 and SR-52." "Location! Location! Location! Just 2 blocks from the Windansea Beach, a short distance to Bird Rock and the Village Shops and Restaurants. 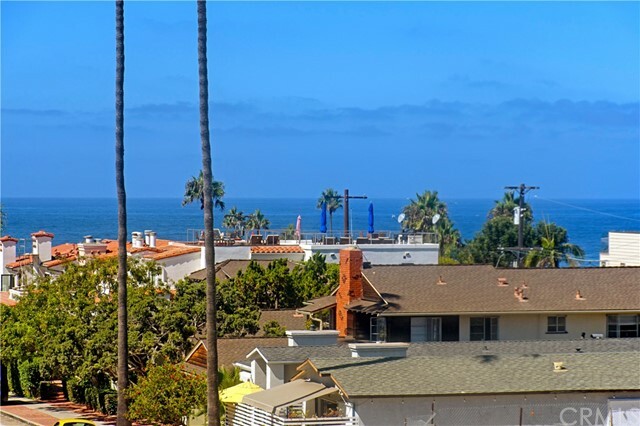 Vacation year round in this Ocean View end-unit La Jolla condo. This second story studio offers light and bright living space, beautifully upgraded Murphy Bed System and Built-In Office, as well as a Separate Kitchen and Elevator Access just outside your front door,." "Fresh, clean and move-in ready! Prime location near UCSD, I-5, premier shopping, restaurants, and Scripps medical centers. New paint, hot water heater, range/oven, microwave, dishwasher and refrigerator. Recent complete bathroom remodel and carpeting. Direct access garage with full size washer and dryer. Community night lighted tennis court, hot tub and BBQ/picnic area. Quick drive to world famous beaches and downtown La Jolla." "End unit on the top floor! Stunning 1BR in great location. Featuring dual-pane windows and sliding door, smooth ceilings, recessed lighting in kitchen, granite counter tops, custom cabinets, mirrored closet doors, a covered carport near the unit and a large balcony with a storage closet. Villa La Jolla's amenities include 2 pools, clubhouse & gym. Great location across from La Jolla Village Square shops. Close to UCSD, VA, Scripps and the beautiful beaches of La Jolla!" "Brand new upgrades throughout. Easy to access first floor bedroom in turnkey condition. This condo has been appointed with new modern white cabinets, grey quartz countertops, dual-pane windows, custom paint, new appliances, recessed lighting and more. Within minutes to La Jolla Shores beach, UCSD & shopping centers. Shopping at La Jolla Village Shopping Center and The Shops of La Jolla are located just down the street & include Ralphs, Trader Joe's, AMC Theater, DSW and more. Quick access to I-"
"Easy to access first floor one bedroom in turnkey condition. Former model location. This condo has been appointed with modern white cabinets, grey quartz countertops, dual-pane windows, custom paint, Whirlpool appliances, recessed lighting and more. Within minutes to La Jolla Shores beach, UCSD & shopping centers. Shopping at La Jolla Village Shopping Center and The Shops of La Jolla are located just down the street & include Ralphs, Trader Joe's, AMC Theater, DSW and more. Quick access to I-5." "Just remodeled one bedroom in a garden-style setting. Nice bright location facing east. This condo has been appointed with modern white cabinets, grey quartz countertops, dual-pane windows, custom paint, Whirlpool appliances, recessed lighting and more. Within minutes to La Jolla Shores beach, UCSD & shopping centers. Shopping at La Jolla Village Shopping Center and The Shops of La Jolla are located just down the street & include Ralphs, Trader Joe's, AMC Theater, DSW and more." "Welcome to the beautiful and luxurious Regents La Jolla. 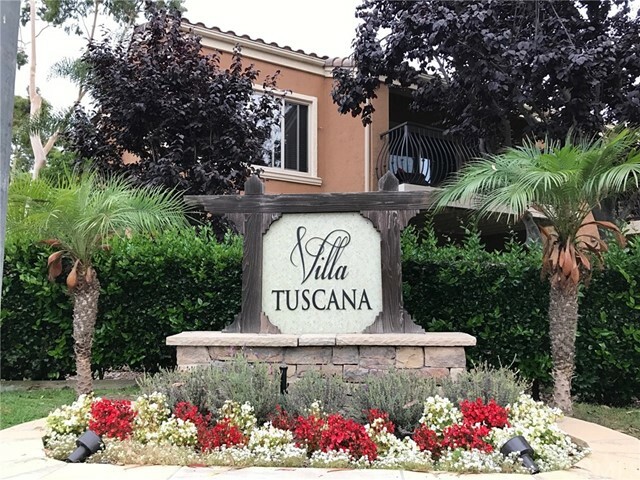 Resort style living with multiple pools, spa, cabanas, bbq area, clubhouse with billiards & tv's, 25 seat movie theater, yoga/dance studio, library with piano, business center, conference room. Centrally located to grocery shopping, restaurants, freeway, UCSD, newly renovated UTC mall & also comes with 2 car tandem parking space." "Are you ready for the La Jolla living lifestyle? Then you ll love this luxury 1BR/ 1BA condo located in the heart of the La Jolla Golden Triangle. The interior offers high ceilings, a beautiful chandelier in the kitchen w/ stainless steel dishwasher & microwave, gorgeous granite slab countertops, a brand new fridge & breakfast bar, energy & water efficient 'front load' washer/ dryer, recessed lighting, central HVAC & more! Wainscoting on bathroom walls done in stone. Large walk-in closet. ("
"Imagine living walking distance from one of the most beautiful beaches in the world: This updated very large one bedroom in a well-managed complex (Low HOA fees) is the perfect offsite granny flat or a great condo for a professional couple. Features include a designer kitchen from Studio West on Girard Street, plantation shutters, views of the pool and courtyard, nobody above you and only one common wall. Very Quite & Elevator access! Brand New Carpet Installed." "Charming condo perfect for a family or an investor. Unit on bottom floor, with nice private backyard patio and a single car garage. Adjacent to community pool and spa. Complex is walking distance to UCSD, shopping and restaurants. Unit occupied by tenant on a MTM lease." "Two Blocks from Wind N Sea beach!! Completely remodeled! From head to toe. Literately the only thing that was left was the front door. It s truly one of a kind there s nothing on the market. You will Love this condo. I used the highest quality of materials custom granite, Italian tile, and so on and personally designed it to be a showcase model condo. This Condo is perfect for an individual or a couple that appreciates the finer things in life and details. It even has custom closets." "This upgraded 2 bedroom/2 bath La Jolla Hideaway townhome boasts commercial grade flooring on the main floor and new carpeting in the stairwell and top floor. With an updated kitchen, upgraded lighting and stainless steel appliances, this home is move-in ready. The two car garage in conveniently attached and has direct entry into the home. With close proximity to the 5 freeway, schools & shopping centers, this townhouse is in the ideal location." "Desirable place to live in the heart of La Jolla. The condo is on 2nd floor, This nice condo features: 2 bed rooms, 2 baths, stainless steel appliances, granite counter tops, fire place in the living room, newly painted two tone paint, new carpet in bedrooms and spacious balcony. Come and check it out." "Slightly upgraded condo with spacious vaulted ceilings and a ton of natural light. Condo also features nice balcony/patio and has two separate one car garages. Perfect for an investor or family. Walking distance to UCSD, restaurants and shopping. Condo is currently occupied with tenants." "Fabulous Boardwalk opportunity at great all cash price needing refinishing completion, but buyer earns immediate sweat equity and when finished buyer has remodeled to exactly what buyer wants.This sought after perfectly located la Jolla complex features turn of the century style known as the Craftsman movement w crafted wood/glass, clean lines, open space with patina of Simple Elegance. As you enter through the stately, stone gateway of Boardwalk/La Jolla, you are aware of its sensitive (See su"
"Charming highly sought after Cambridge townhome, featuring vaulted ceilings, french doors leading to private patios from living room and dining room. Hardwood floors in living room, dining room, kitchen & bath. New carpet in bedroom & stairs to garage, mirrored wardrobe in master suite. Fireplace in L/R. Attached 1 car garage with large extra storage area. Great, ideal location. Close to UCSD, Trader Joes, Whole Foods, restaurants, shopping, theaters. Community pool/spa/rec. room. Ideal location"
"Unique and exceptional condo in the beautiful village of La Jolla ,this home has been stylishly upgraded and remodeled. It has its own direct private entry !! Attached to the sought after Chateau Girard complex across from the farmers market on Sundays and walk to all the beautiful village of La Jolla has to offer Unit has a large utility room with washer and dryer and storage space as well as built ins .Lovely tile floors and lighting, fully remodeled kitchen and bath Lock and leave ! Priva"
"Great La Jolla location with canyon/hillside views from every room!The complex is private, impeccably maintained and features tennis courts, pool and spa. The roof was newly replaced last year. Light and bright home has brand new air conditioner. Great walk-in closet in the master suite. The kitchen and living room are light and bright and open onto their own gorgeous balcony. 2 car attached garage. Easy access to I-5,downtown & La Jolla beaches. Walk distance to Ralphs,AMC"
"Popular-sought after one level spacious corner model with perfect complex location offering soaring vaulted ceilings and basking in light with 3 walls of windows and boasting attached garage, private interior laundry, luminous living room/master bedroom skylights, cozy brick fireplace, plush light carpet, large sunny patio, gorgeous swaying trees/landscape, and super La Jolla location off Gilman canyon (Continued on Supplement)"
"This is your opportunity to live the La Jolla lifestyle! Come and enjoy the relaxed atmosphere La Jolla exudes in this two bedroom Villa La Jolla corner unit. As you enter you are welcomed by an open floor plan accented by crown molding, recessed lighting and mirrors that reflect the soft, natural sunlight. The kitchen offers plenty of cabinet and counter space for all your culinary creations. The master bedroom features a large walk-in closet." "Resort-like living. Private and quiet 1 story corner unit with extra windows providing lots of light. Great location at end of complex with open views from the 2 balconies. Balcony has tile floor and retractable awning. A crystal rock gas fireplace warms the living room and dining room. Newly remodeled bathrooms. The kitchen has new range, microwave and refrigerator. Excellent condition, only used as a vacation home. Complex has an ideal location! Walk to UCSD & transportation. See supplement." "In the heart of La Jolla, the optimal luxury lifestyle and beach community - Villa La Jolla is a secure gated complex within blocks the famous Windansea Beach, the finest local restaurants and boutique shops and surrounded by homes reaching 20 mil. This fully remodeled unit showcases completed kitchen and bath remodeling and tasteful design. New kitchen appliances, stainless steel sink, double-oven and granite counter tops. New flooring throughout. Complex features 2 pools and outdoor atrium are"